Nick D. explains why console exclusive content is getting out of hand and is inherently bad for the industry. EA announced recently that the Ultimate Team Legends Mode in FIFA 15 will be exclusive to Microsoft’s platforms. This may come as no surprise to attentive gamers as the equivalent mode, which lets you play as soccer legends, was exclusive to Microsoft in the last FIFA game. This announcement, along with last year’s similar announcement, may urk fans of the series on Sony platforms or the PC, who now have to deal with the fact that they are being sold an inferior game at the same price. This practice of console exclusive DLC and modes is becoming increasingly popular as Sony and Microsoft try to provide reasons to prefer their system. Unfortunately, it is the gamers who suffer every time even if they don’t realize it. The purpose of console exclusive content is enticement plain and simple. It’s often cheaper for a console developer to buy DLC from a software publisher than it is for them to buy exclusivity, and it allows them to say that there’s something about a hotly anticipated game that is exclusive to their platform. The premise makes sense, right? Everyone loves to have more content, and the console wars are such that everyone is encouraged to hate the competition, so denying something to them often strikes a cord with gamers. Before we get into an anti-consumer discussion, I want to take a second to explain how this premise doesn’t really work. The main problem is who exactly is the console developer enticing. Very few people are going to be swayed enough by exclusive Destiny content to buy a PS4. Most people buy consoles based on a variety of factors such as exclusives, brand loyalty, what their friends have, etc. An exclusive costume or map doesn’t rank high on that list. If anything, a big presentation saying that Sony has a whole bunch of exclusive Destiny content just reminded me that Destiny is available on other platforms. Reminding gamers that you don’t actually have an exclusive, but had to settle with cobbling together a few minor bits of exclusive content isn’t really selling a system. Console exclusive content certainly gratifies those who already own a system and intend to buy the game. They get to go onto the message boards and wave it in front of PS4/Xbox One owners that they won’t get to play the exclusive. But bellows for the console war are not worth the money companies will spend, which can be an exorbitant waste of funds. For example, Microsoft spent $50 million on Grand Theft Auto IV DLC timed exclusivity. That’s one of the more excessive stories, but the cost is still too much to act merely as a bragging tool. The only place where console exclusive content seems to make any sense is when a person owns both company’s systems and has to choose which system they will by a game for. In this case, the tiny incentive can push a consumer over the edge towards your platform. Most people, however, do not own both consoles, and the tiny impact in this sector isn’t worth the cost of obtaining the content to begin with, especially since these funds could go to funding actual exclusive games. That’s what would entice gamers more. Even a low key indie game is worth more than a costume in Arkham Knight. Then there is the disappointment factor. Every E3, an executive climbs the podium to talk about a special relationship with a core developer, but they really just mean timed DLC. A real announcement is Insomniac’s Sunset Overdrive being exclusive or From Software’s Bloodborne being exclusive. These are reasons to buy a console. I don’t think the same would be true if Xbox One users got some exclusive hats for Sunset Overdrive or PS4 owners got an exclusive weapon for Bloodborne. And then there’s the effect this practice has on gamers. As mentioned before, console exclusive content can act as a wedge between gamers of other systems. This is inherently bad. I know we love the “us versus them” mentality and we’re encouraged to adopt it at all times, but this is a failing. You see, Xbox One fans may gloat at the FIFA 15 exclusive content, but, guess what? They are missing out on Destiny content and vice versa. A large portion of the gaming community is all right with this practice because it occasionally allows them to “stick it” to the competition. It’s easy to forget that, for every time you get to hold your exclusive content over the heads of your enemies, they get to do it back to you. It’s a net result of zero with neither side winning even if it occasionally feels like you’re pulling ahead. Remember – nobody likes being sold an incomplete or inferior game, yet somehow we accept it through console exclusive content because sometimes we get to be on the gloating side. Once again, that content isn’t free in any sense of the word. Oh, gamers may not pay for it, but there is a cost. For one, companies like Sony or Microsoft have to pay for it somehow. This means that the money going to developers for this purpose isn’t going to other programs that benefit gamers like system updates or exclusive contracts. Then there is the developer cost. Assuming that the content wasn’t already made (in which case we should be as upset at its exclusivity as with day 1 DLC), developers have to take time to create the content. This is time they could be spending on other projects, non-exclusive DLC, patches, etc. Instead, time gets apportioned to working on a single console’s content to the exclusion of others. An analogous example of how console exclusive content is bad for consumers can be found in retailer exclusive DLC, and special edition exclusive DLC. Though this is through a software publisher, not a console developer, the principles are largely the same. For example, no matter how you bought Watch Dogs, you were missing out on something as you can see by the helpful and popular chart to the side. The same is true with Batman: Arkham City‘s preorder bonuses, which ensured that nobody got everything. I know these are supposed to reward players for special editions or pre-orders, but when they are fragmented in this regard, it means that even those going the extra mile will be missing out. Similarly, when you own a PS4 or Xbox One, you are out of luck when it comes to the other party’s console exclusive content. If you want that game (and you do because it’s usually one of the more popular games out there) you’ll have to deal with the fact that you are buying an inferior, incomplete game. In the end, companies such as Sony and Microsoft act like they are doing a service to gamers by securing console exclusive DLC. Unfortunately, this is far from the truth. What’s really going on is that they are wasting money trying to gain some tiny edge by grabbing onto a popular game’s momentum. And that money could go to much better use. So, to Microsoft and Sony I say this: buy full exclusivity, or don’t buy at all. I remember the store exclusives for Fallout New Vegas. I analyzed the offerings and chose the store that offered equipment that fit my playing style. An hour into the game and the special equipment was no longer equipped and had been sold for a handful of bottle caps. 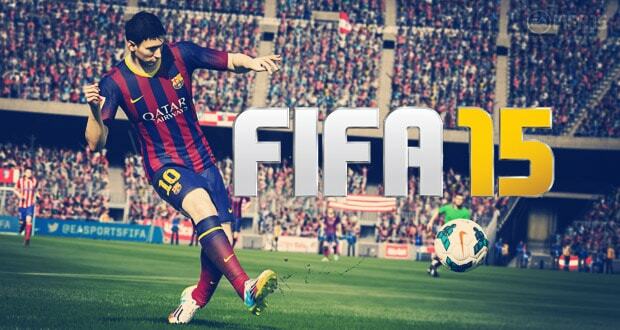 With this FIFA 14 coin generator, never stress over your coins again.